If there’s a bowl of ruby red cherries in front of me, chances are I’ll just sit and eat the whole thing. But occasionally I’ll restrain myself long enough to actually pit the cherries and use them in a recipe. 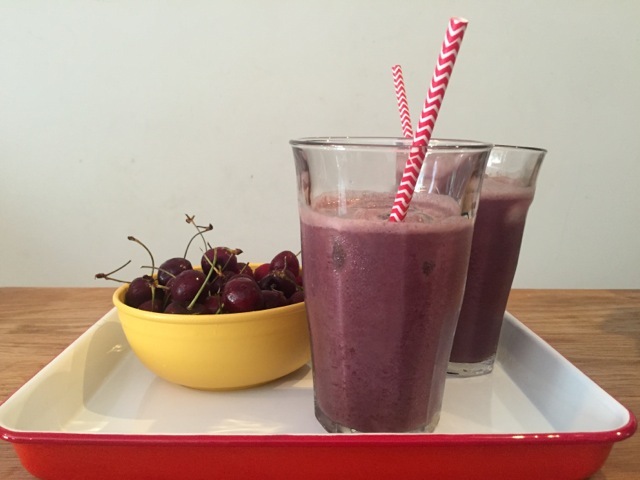 This smoothie offers the almost-instant gratification of eating the cherries quickly and can be made for a fast breakfast or a post workout recovery drink. Cherries contain 3g of fiber and 342mg of potassium per cup, which is about as much as a small banana. This sweet stone fruit also boasts anthocyanins, a type of phytonutrient that gives cherries their deep red color and has anti-inflammatory benefits. 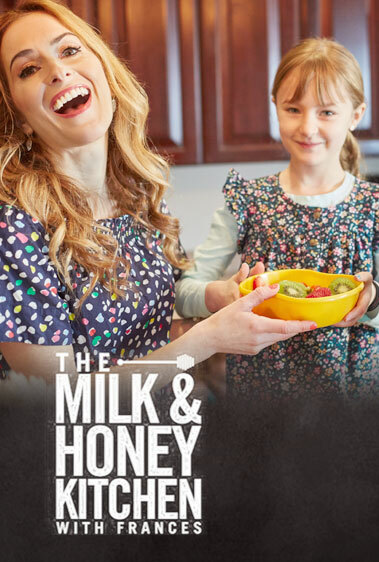 I like using coconut milk in this recipe, but you can use any milk you like. The smoothie reminds me a bit of the cherry Coke floats I used to have as a kid. This is a much healthier way to indulge! If you like your smoothie a bit thicker, you can add in ¼ cup of vanilla yogurt. Only in season from May through August, sweet cherries will be gone soon. Get your hands on them while you can and enjoy! Place all the ingredients in a blender and blend for 1 minute, until smooth and frothy.